The inaccessible eastern districts of the state have been hit the hardest. Even as flood waters begin to recede in Nagaland, many parts of the state are reeling under what state officials on Saturday called an “acute crisis of essential commodities” like food grains and medicines. 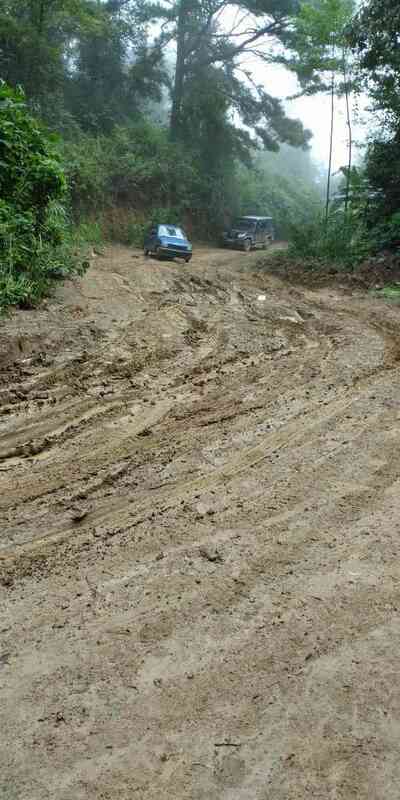 Officials blamed the shortfall on persistent landslides that have cut off road links to several districts in the state. 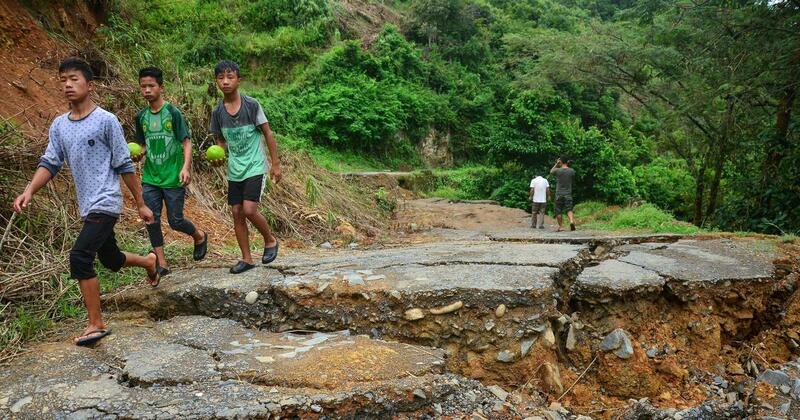 “The flood water has receded, but because roads have completely collapsed due to landslides, it is a big problem to transport essential commodities,” said Johnny Ruangmei, officer on special duty, Nagaland State disaster management authority. The remote eastern part of the state, said Ruangmei, was the hardest hit by the landslides. Connectivity to the border district of Kiphire and Tobu sub-division in Mon district, remained patchy till Saturday afternoon, he said. “There is a new landslide every day at some point in these roads,” lamented the official. Ruangmei said relief supplies were being airdropped by Indian Air Force choppers to areas where road connections had snapped, but inclement weather had made flying impossible in the last couple of days. 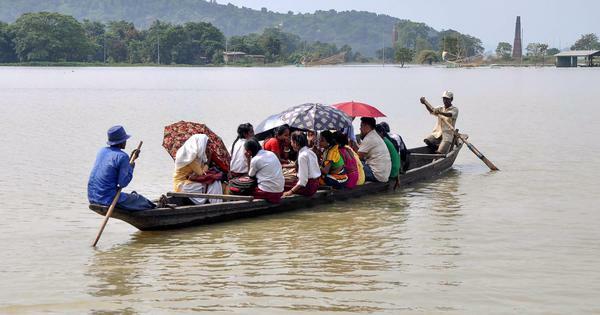 Twelve people have died and more than 3,000 families have been displaced over the past almost two months because of heavy rainfall in parts of Nagaland, but the matter came to spotlight only recently after chief minister Neiphiu Rio made a public appeal for help on Twitter. “Nagaland has been grappling with this situation for the past two months,” Ruangmei reiterated. Kiphire’s deputy commissioner Mohammed Ali Shihab also rued the state of the roads and the crisis of essential commodities. The main road connecting the district to Nagaland’s commercial hub of Dimapur has been cut-off since July 26, forcing vehicles carrying relief materials to take an alternative longer route. “Usually it takes around 12-14 hours for supplies to reach here Dimapur, but now it is taking approximately two-three days because they are having to come through an alternative road,” he said. 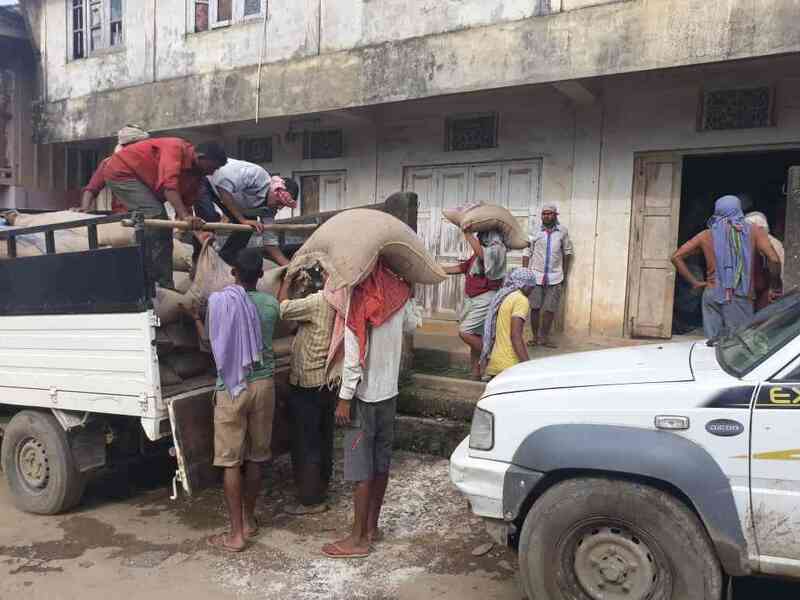 Seven trucks carrying much-needed 1408 packets of rice finally reached the district after a wait of over 48 hours, the bureaucrat said. Shihab said while there was a “slight improvement in the situation”, fresh rains since Friday evening have made people wary. “Normally, the rainy season in September, October, so if the rains continue like many vehicles will be stuck on the road,” he said. The alternative road to Kiphire. 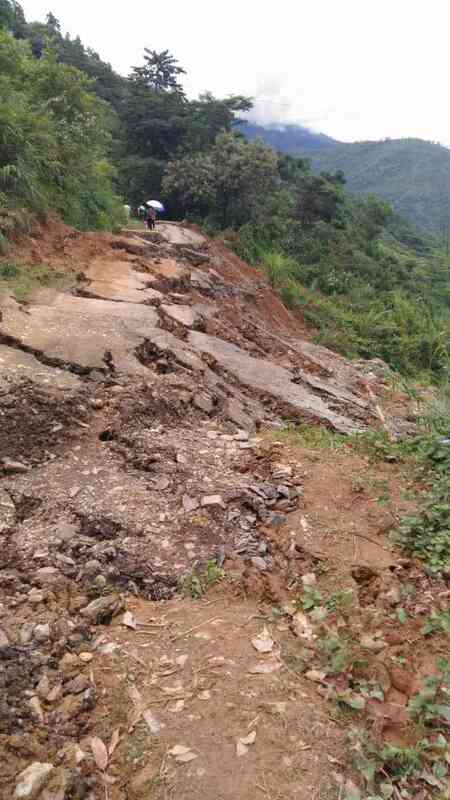 Apart from Eastern Nagaland, the main road connecting Dimapur and the state capital of Kohima has also been cut off by landslides so severe that state officials say it could take months to repair. Traffic on the route, Ruangmei said, was being diverted via “rural areas”. In wake of the chief minister’s appeal, the Centre has sent teams of the National Disaster Response Force to the state to help in relief operations in the rain-affected state. More than the assistance from the National Disaster Response Force, Ruangmei said the state needed financial assistance from the Centre to take up reconstruction work. “More than 2,000 houses have been damaged in Kohima, so we need to rebuild Kohima,” said Ruangmei. An inter-ministerial team from the Centre is also expected to visit the state on September 4 to assess the damage. Nagaland had donated Rs 1 crore last money to flood-hit Kerala.